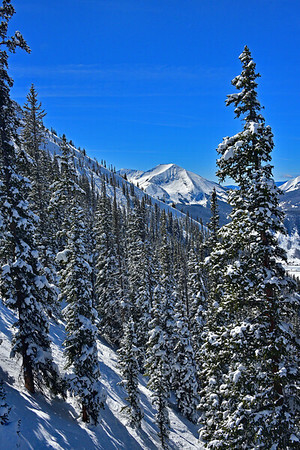 The trees and mountains of Crested Butte, Colorado, as viewed from the Silver Queen ski lift. I love the fresh snow on the trees, contrasting the beautiful blue skies. Enjoy!